Are there things in your life you’ve been wanting for a long time? Personally, I go through cycles. For some years, one area of my life goes really well, and another is not as I would like it to be. Often, I work a lot on the not-so-pleasant area, and then it gets better, while at the same time a good one begins to deteriorate. This had me puzzled for years. Why was this happening? How come that an area that was so difficult for me suddenly worked without problems, only for another, previously good one, to go downhill? There was obviously some upper limit problem happening here. Meaning I could only allow my overall life experience to get THAT good. As an example, let’s say the balance I am comfortable with amounts to the number 15. If relationships, health and living situation already add up to 14, there is only 1 left for work satisfaction. So the real question is not how to make one specific area work more smoothly, but: How do I enlarge my overall satisfaction number? This ‘as-good-as-it-gets number’ has been deeply ingrained in us. Not just from experiences in this and previous lifetimes, but often also from codes our parents, grandparents and grand-grandparents carry and pass on to us. It’s firmly installed in our subconscious as our go-to or ‘safe’ state of being. This means that you’ll get only so far towards the life of your dreams before it becomes too ‘dangerous’ (aka too much out of the comfort zone of the familiar), and your subconscious will trip you up, or get you to sabotage yourself in some way. It is very difficult to change this with logical thinking and aligned action alone. Instead, something has to fundamentally shift. The easiest way I found for how to do that is through a sort of a ‘quantum jump’, which can be greatly helped through energy work. 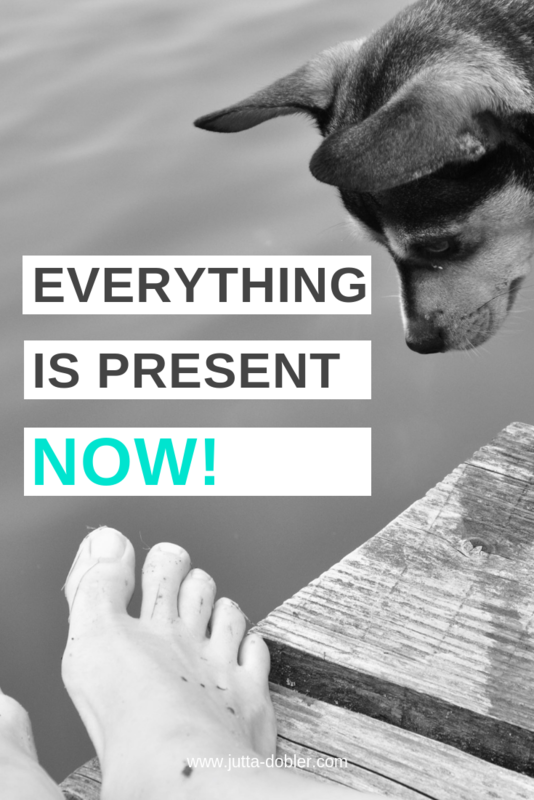 All possible possibilities that might ever exist are available simultaneously in the Now. This means that you can access them through deciding to do so, and switching your focus exclusively to a different version of yourself, and to then lock these changes in on the level of your energy body and frequency. People with multiple personality disorder do that to the extend that one of the personalities for example has diabetes. When they switch to a different personality, there is no sign of diabetes anymore in the same physical body. I find things like this endlessly fascinating.